Executive Director of the Lawrenceville Corporation, which acts as a catalyst and conduit for responsible growth and reinvestment in the Lawrenceville community. In addition to facilitating nearly $100 million in public and private investment in the neighborhood over past 3.5 years, Matt has served as the organizational lead for several catalytic neighborhood planning processes including the Upper Lawrenceville Plan, Lawrenceville Pivot, and the Allegheny Green Boulevard Plan. Since he arrived in Pittsburgh a dozen years ago, Matt has worked as a community development professional in numerous areas of the city, including the Penn Avenue Arts District, Hazelwood, and the Northside. 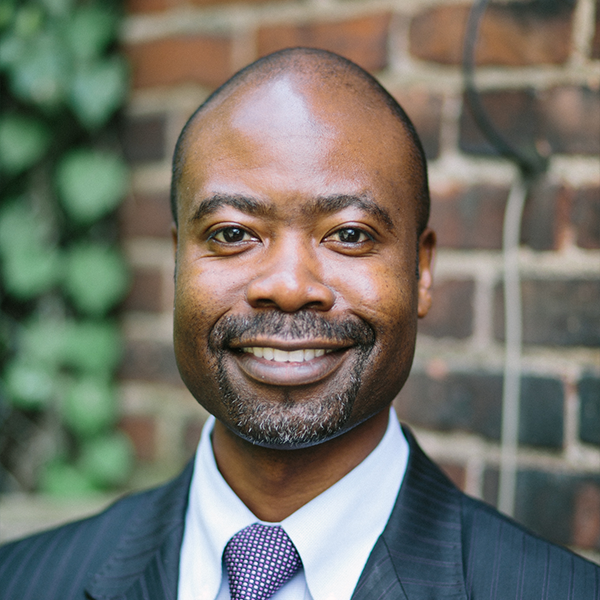 He has also taught as an adjunct faculty member for the University of Pittsburgh’s Graduate School for Community Organization and Social Administration. Matt has served on several boards and committees, including the URA Real Estate Loan Review Committee, the URA’s New Market Tax Credit Advisory Board, Green Boulevard Working Group, Sprout Fund Public Art Advisory Committee, Friends of Arsenal Park Steering Committee, Leslie Park Pool Advisory Panel, and the Carnegie Mellon Artist Incubation Advisory Committee. Paulo Nzambi is currently an attorney at law. His previous experience includes Executive Vice President and Chief Operating Officer of Manchester Bidwell Corporation (MBC) and its subsidiaries Bidwell Training Center, Manchester Craftsmen’s Guild, and the National Center for Arts and Technology. Prior to his tenure with MBC, Mr. Nzambi worked as a trial lawyer for the City of Pittsburgh and the law firm of Robb Leonard Mulvihill. An entrepreneur, Mr. Nzambi has managed the acquisition, renovation, and rental of residential real estate, a project he started in 2003 and continues to the present day. In addition to his civic activism, Mr. Nzambi is a member of Pittsburgh Playback Theatre. As a playwright and actor, Mr. Nzambi’s most recent plays “Unintended Consequences” (2008) and “To Suffer the Silence” (2007) were performed as part of the Three Rivers Arts festival. Mr. Nzambi joined Manchester Bidwell Corporation in August of 2009. Working for a non-profit conglomerate that provides arts education, adult career training, and operates social enterprises has provided Mr. Nzambi a unique opportunity to integrate his diverse skill sets--as an artist, entrepreneur, and lawyer. Rick Belloli has more than twenty years of experience in real estate and nonprofit management. Currently, he is a partner in Q Development LLC which engages in community sensitive real estate development. Prior to Q, he was a principal of Civic Square, which he co-founded. Civic Square is a multidisciplinary economic development practice with specialties in Real Estate & Development, Business District Strategies, and Nonprofit Management & Governance. Prior to Civic Square, Rick was the Executive Director of South Side Local Development Company from 2003 to 2011. South Side LDC was a community development corporation founded in 1982 with the purpose of promoting the economic revitalization and historic preservation of Pittsburgh’s South Side. Taris Vrcek is a third-generation McKees Rocks resident and a graduate of Sto-Rox High School. After graduating from Rensselaer Polytechnic Institute with a B.S. in Mechanical Engineering, Vrcek pursued a career in information technology before spearheading a re-visioning of his community that would ultimately result in formation of a Strategic Revitalization Plan and the McKees Rocks Community Development Corporation (MRCDC). During his tenure as Executive Director, Vrcek has helped facilitate nearly $100M in economic development. With an initial focus on brownfield development, MRCDC has grown into a comprehensive community development agency, leveraging strategic partnerships toward a vision of a 'complete' Sto-Rox, with strategic initiatives in Main Street / Arts development, Workforce Readiness, Youth Engagement, and recreational/green space development. In his non-work time, Vrcek enjoys playing and writing music, as well as outdoor activities. Michael is a director with Major, Lindsey & Africa (MLA) in its Washington, D.C. office. He obtained a BS in Economics from John Carroll University and received his law degree from Duquesne University. Michael's law practice was devoted primarily to employment/labor law, law enforcement/public entity liability, and commercial litigation. He is admitted to practice law in all Pennsylvania state courts, the USDC Western District, and the Third Circuit Court of Appeals. 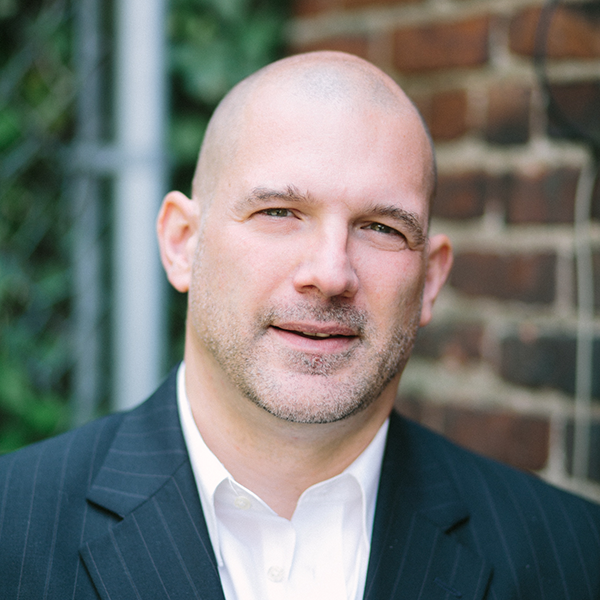 Michael is active in Pittsburgh’s non-profit community and serves on the Board of Directors for Wesley Spectrum Services, and he formerly served on the Board of Directors for the Greater Pittsburgh Community Food Bank. In addition, he is the Vice Chair of the Phipps Conservatory and Botanical Gardens Board of Trustees. William Earl Kofmehl, III, a Pittsburgh, Pennsylvania native and sculptor, graduated from Carnegie Mellon University with a Bachelor of Fine Arts preceding a Fifth Year Scholarship to study Civil Engineering. Kofmehl then attended Yale University, obtaining a Master of Fine Arts Degree. Immediately following graduation from Yale's MFA program studying sculpture, Kofmehl was represented by Lombard-Freid Gallery in New York City. He received admittance into the exclusive 250 member Artist Pension Trust in New York City in 2007. Kofmehl participated in Contemporary Visual Art talks and exhibitions in Hong Kong, Brittany, France, Winterthur, Switzerland, Miami, New York, Chicago, Monteverde, Costa Rica and London. Over the past decade, Kofmehl has held adjunct Professorial appointments at Carnegie Mellon University, the Pont-Aven School of Contemporary Art, France, University of Pittsburgh and Robert Morris University. Avery Laughlin, a native of Oklahoma and now a proud Pittsburgher, has a passion for the community of art. During her time in Oklahoma she worked in the Office of Public Art for Oklahoma City facilitating the development of murals and sculptures, while working directly with the artists. Avery also lived and worked in New York City at the Metropolitan Museum of Art and studied at the acclaimed Student Art League of New York. Her work has taken her across the globe painting on the streets of France, Italy and Greece selling commissioned pieces nationally and internationally. Currently, Avery creates commissioned oil paintings and illustrations while freelancing as an Art Consultant helping to promote local artists and the expansion of public art throughout Pittsburgh. Avery graduated with Honors earning B.F.A from Oklahoma City University. Mara Leff, a Pittsburgh native, is a Program Manager at the Jewish Healthcare Foundation where she contributes to the organization's aging, women’s health and digital health initiatives. Currently, she is working to develop strategies to advance the foundation's Senior Connections Initiative which includes leading the Virtual Senior Academy, a new platform that connects seniors with technology and interactive classes on variety of engaging topics. Before joining the Foundation, Mara spent time in Washington, DC working at the public relations firm Ogilvy and Mather, leading various health communications initiatives for several federal agencies. Mara earned her Masters in Public Health from the department of Behavioral and Community Health Sciences at the University of Pittsburgh’s Graduate School of Public Health, and was inducted into the Delta Omega Honors Society in Public Health for her thesis work in Hyderabad, India around hand washing and community driven health promotion campaigns. Mara received her undergraduate degree in public health from the George Washington University in Washington,DC. Mara serves on several local advisory boards and committees including the United Way's United For Seniors Committee, Age-Friendly Greater Pittsburgh Leadership Circle, Shady Side Academy's Alumni Council, and the Children’s Hospital of Pittsburgh Foundation’s Children’s Trust Grantmakers' Committee. Jamie is a proud Beechview resident and Top Nerd at Fourth Economy, a mission-driven community and economic development consulting firm serving clients both locally and nationally. Prior to moving to Pittsburgh in 2013, Jamie spent four years in nonprofit and fundraising roles and three years with New Kensington Community Development Corporation, where she served as Community Relations Specialist. She earned a Master of Public Administration degree from the University of Pittsburgh Graduate School of Public and International Affairs (GSPIA) in 2015. Drawing from these experiences, Jamie believes in an asset-based approach to community building and an evidence-based approach to public policy. At Fourth Economy, Jamie provides market and impact analysis, strategic planning, feasibility studies, policy analysis, program evaluation, and new program development. Alexis Russell is a current Pittsburgh resident, born and raised just east of the City. She found an appreciation for the built environment at a very young age, so architecture has always been an interest. She earned her Bachelor of Science in Architecture from Temple University’s Tyler School of Art in 2007 and went on to earn a Master of Science in Organizational Development and Leadership in 2012. Following graduation from undergrad, she spent several years at architectural firms around the Philadelphia area, learning about the design and construction industries first hand. In 2014, Alexis, along with her husband, co-founded Russell General Contracting, a General Contracting company that specializes in residential renovation and rehabilitation. She is currently the Senior Project Manager for Kadesh Construction Group, which serves as a construction management firm managing approximately 8 million dollars’ worth of construction and redevelopment in and around the City of Pittsburgh.